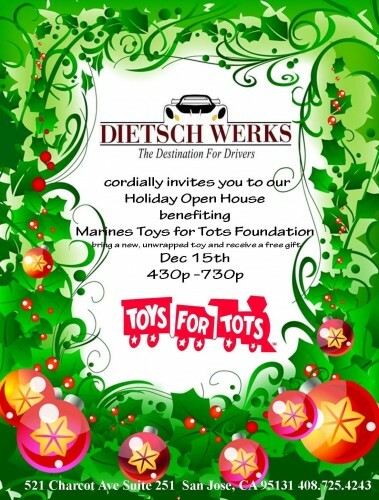 Join GGLC Sponsor Dietsch Werks on Dec 15th for a Holiday Party benefiting Toys for Tots! Dietsch Werks and many other businesses located inside Club Auto Sport will be decking the drive isles with cars and holleys! Exotic cars, cocktails, holiday treats and decor will be plentiful so stop by after work, share a toast and help us help the Marines in their quest to make this Holiday Season a memorable one for kids who need it the most.